that is an adorable bee!!! Adorable! It reminds me of my very first valentines card that said: "won't you bee my honey bee! 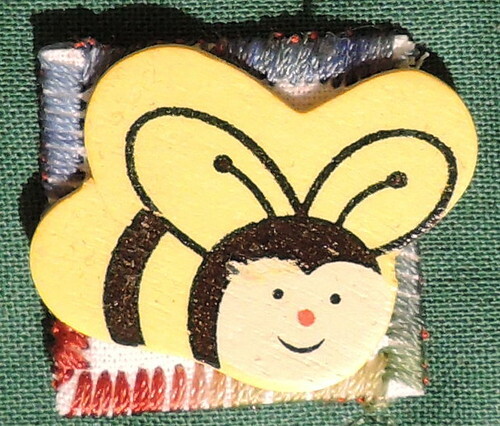 Sweet bee button - I'd love to put those on a cardigan for my 2 year old grandchild she loves bees and likes to pretend she's one, buzzing around the place!! !